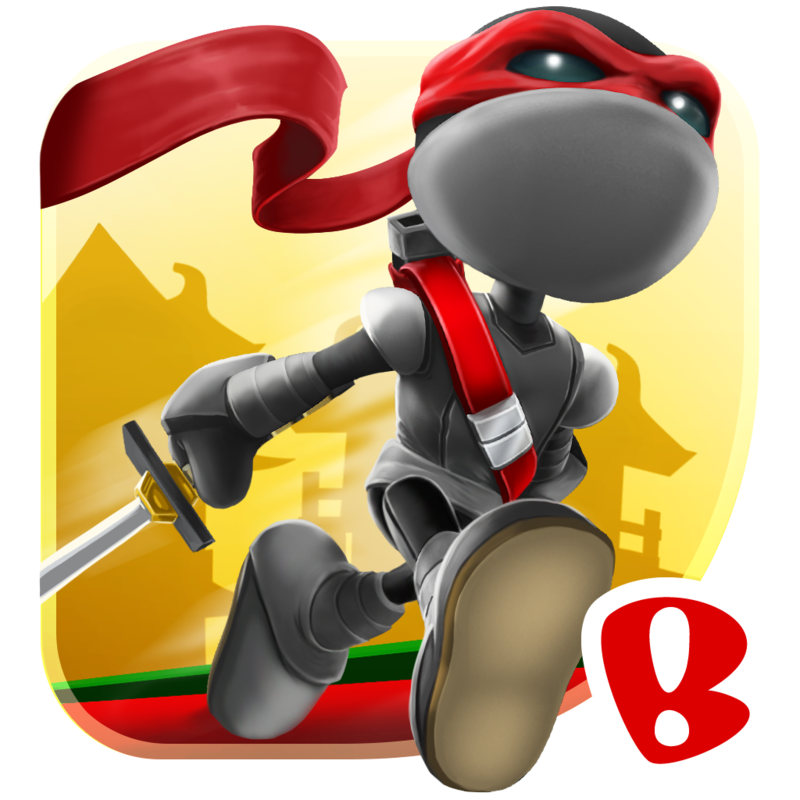 NinJump Rooftops (Free) by Backflip Studios is a horizontal endless runner that is the sequel to the original NinJump game that came out back in 2010. 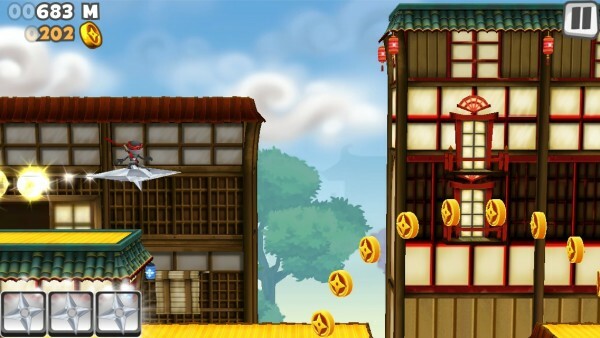 If you were a fan of the vertical ninja hack-n-slash action of NinJump, or just enjoy endless runners in general, then NinJump Rooftops is just what you need to kick back with. 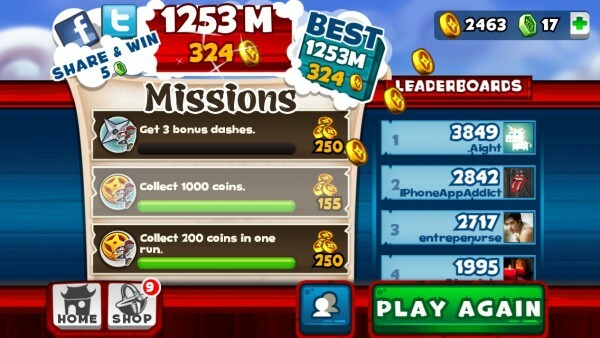 Endless runners have got to be one of my favorite game types on iOS. They’re easy to pick-up-and-play with easy gameplay, and it’s suitable for all ages. Plus, with such simple game mechanics, it’s a great way to just kill some spare time. I remember I checked out the original a while back, and I loved the vertical aspect of it, as it was, for the time, different and unique. I’m a bit disappointed that it turned into another horizontal, side-scrolling endless runner, but it does add some unique elements to it to make it stand out from the rest. The graphics in this game are beautiful, especially for an endless runner. I found the environment of Japanese rooftops to be colorful, lush, and detailed. 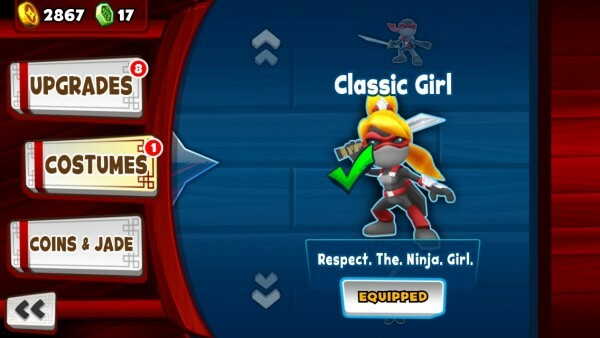 Even the character models and animations for the ninja (who you play as) and the various enemies that you encounter are smooth and fluid. The soundtrack is also pretty catchy, featuring some calm and soothing Japanese zen music. 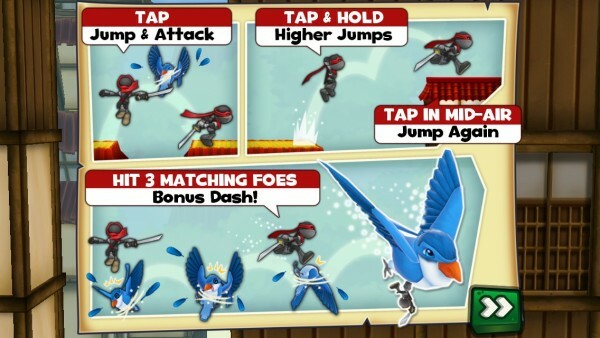 And while the ninja will make some cute sounds while he jumps, slashes, and dashes, you can optionally turn off all sound effects and music if desired. 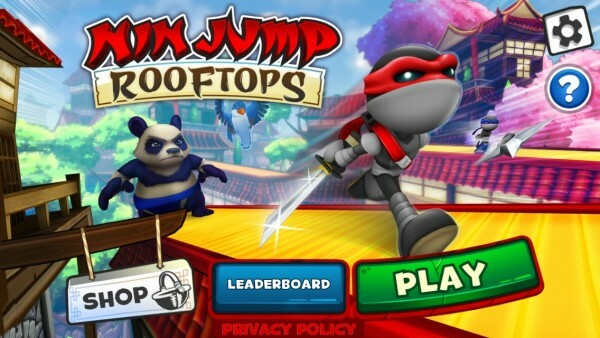 If you’ve played endless runner games before, then you should be familiar with the controls in NinJump Rooftops. 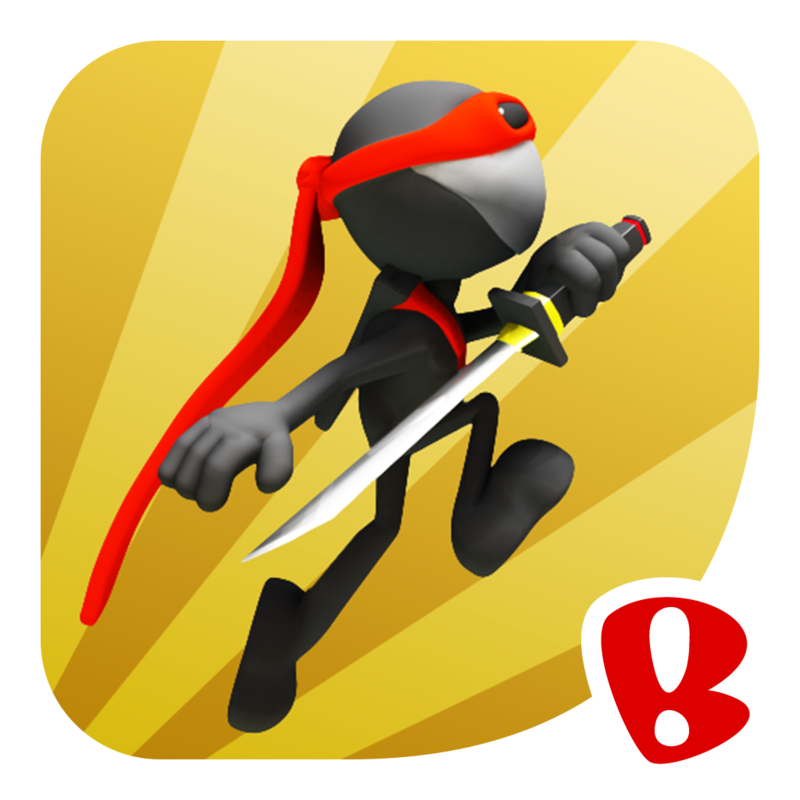 Your ninja will run automatically, but you will be in control of his jumps, as well as getting rid of any obstacles that get in his way. 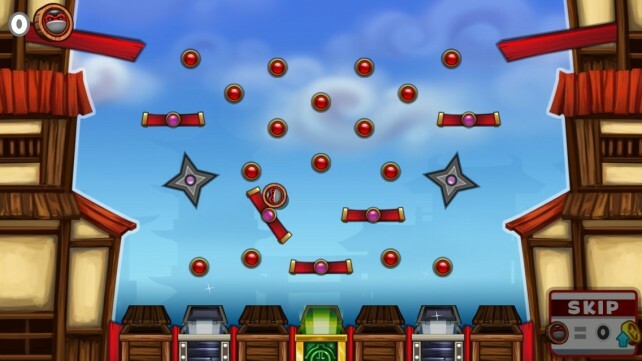 To jump, all you need to do is tap on the screen. 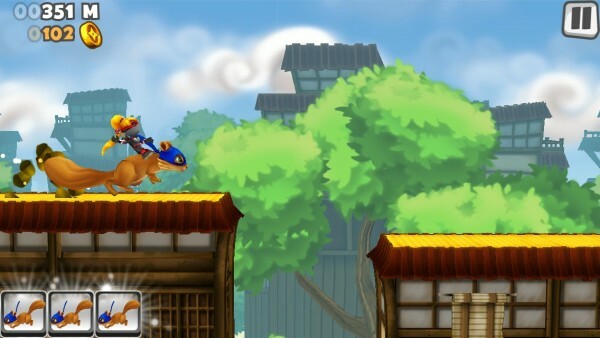 You can also tap-and-hold to do a longer jump, or tap again in mid-air to jump again. If you jump while an enemy is in front of you, they will get a taste of your katana as you slice them into oblivion. Attacking three enemies of the same kind in a row will also earn you a special dash boost, so it’s best to focus on one kind and avoid the rest if necessary. Each run will have a mix of rooftops, zip lines, fire pits, and enemies that want your blood. I appreciate the mix of obstacles, as you really don’t know what to expect next, so the element of surprise is always there. Plus, you never know when the giant panda will use their earth-bending skills to smash you in with rocks. And gliding down a zip line really does make you feel like a ninja as you keep on running right after, without a single fumble. 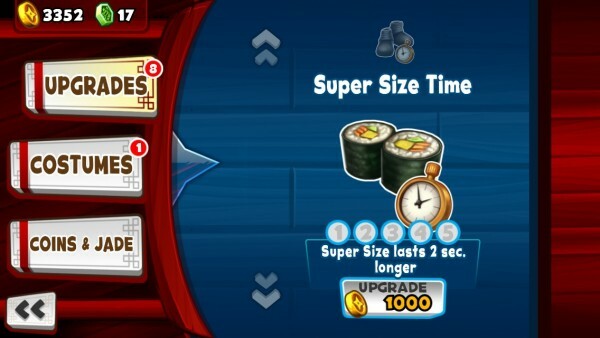 On your run, you will collect coins that can be used to purchase power-ups before each game, or you can spend it in the shop to get upgrades for the power-ups or additional costumes. 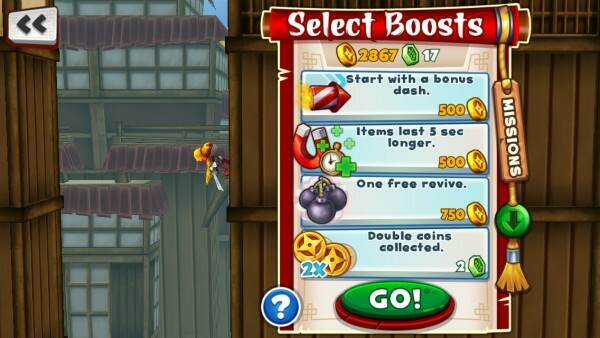 You can also find power-ups scattered throughout the game, such as coin magnets or even triple jumps, which you will need to collect in order to activate it on that run. 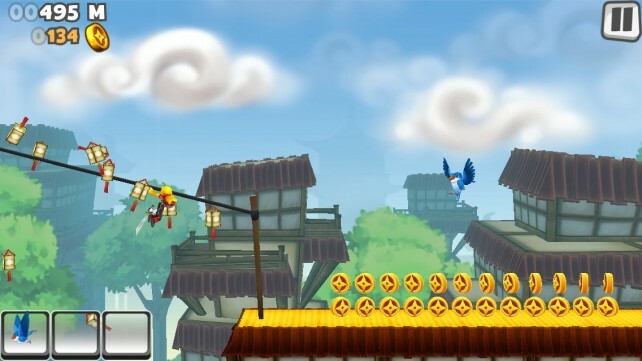 You can also find some tokens that enable you to get a chance to play the plinko game after the run, where you can earn prizes like coins, jade tokens (premium currency), power-ups, and other goods. The reward depends on where your token lands, with the best prizes being in the center, of course. I recommend grabbing the tokens whenever you get a chance, as this is the only way to earn the jade tokens without going through in-app purchases. 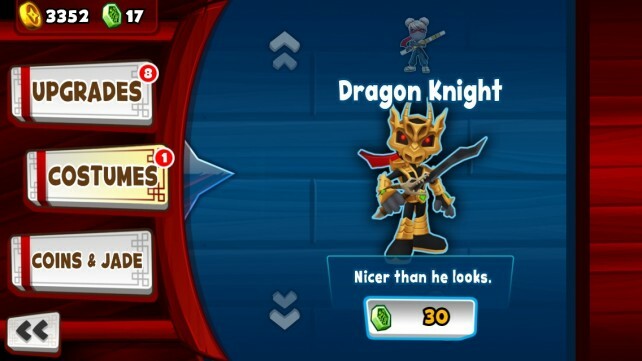 You’ll want the jade if you want the cooler costumes as well (Novice and Dragon Knight look awesome), and there hasn’t been any other way to earn these as far as I can tell. 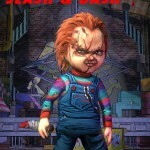 So if you see those game tokens, nab them! 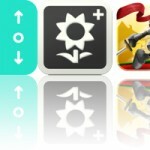 You can also earn other rewards by accomplishing the goals, which seem to be in all games nowadays. There will be three challenges at a time, and you can complete them one-at-a-time. Once you achieve one, you get your reward, and a new one replaces it. These make it so that you constantly have something to strive for in the game. 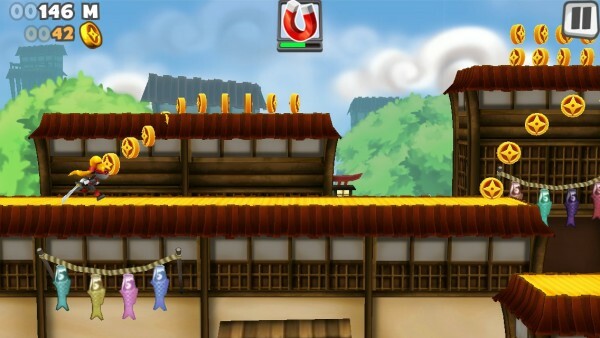 Even though this is another endless runner, it’s a delightful one. 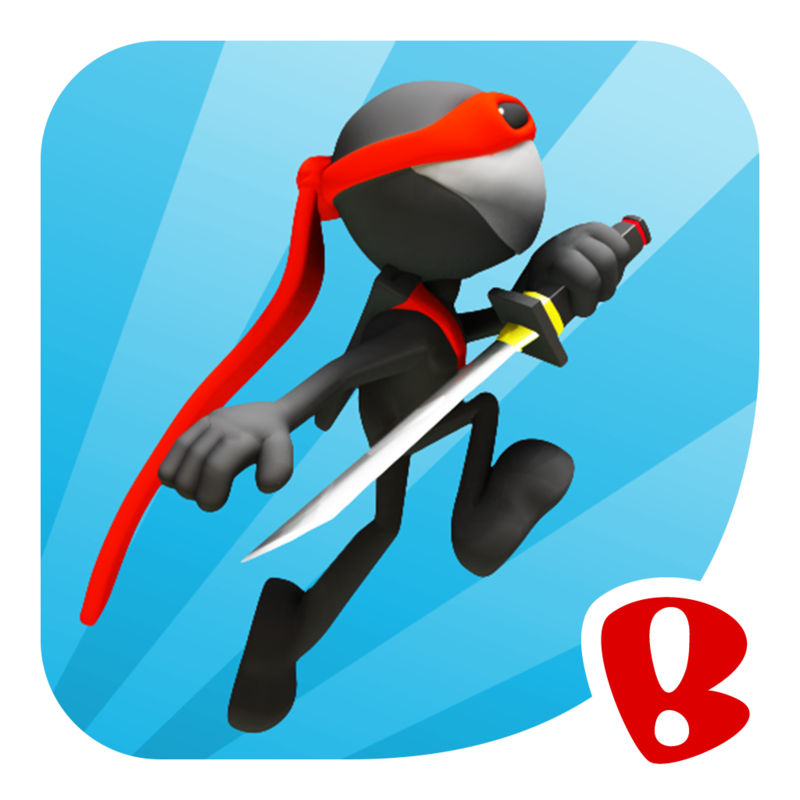 I love the smooth animations and exuberant graphics, and it’s just pure fun to run around as a ninja and slice things up in front of you. If you’re in the mood for an endless runner with tons of action, then I recommend you check this game out. 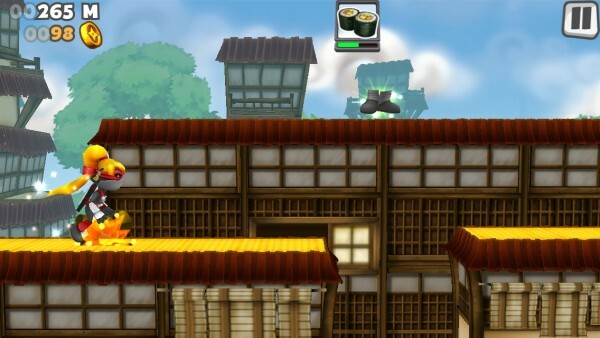 You can find NinJump Rooftops in the App Store as a universal download for free with in-app purchases.